Everyone should be equipped with knowledge. Knowledge is a great and powerful thing when shared with good intent and purpose. Knowledge can be a tool but it can also be a weapon. Have you wondered how time works? What do you mean by 1 sec? How the duration of 1 sec is decided? All these questions will be answered when you understand the atomic clock. World time is based upon a reference and that reference is the atomic clock. An atomic clock is a clock device that uses an electronic transition frequency in the microwave, optical, or ultraviolet region of the electromagnetic spectrum of atoms as a frequency standard for its timekeeping element. i.e. locking an electronic oscillator to the frequency of an atomic transition. The transition is generally between hyperfine level which is a small shifts and splittings in the energy levels of atoms resulted from interaction between the magnetic moments associated with electron spin and the electrons' orbital angular momentum. It employ a beam of cesium atoms. 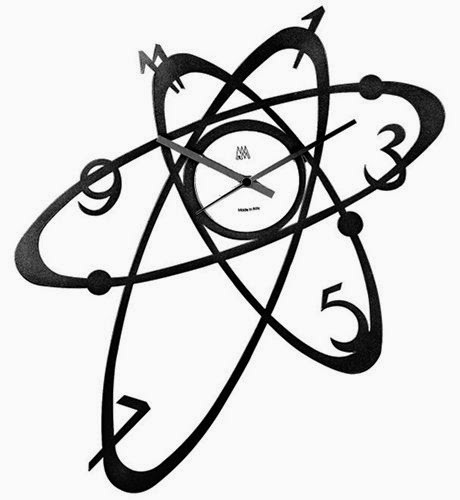 The clock separates cesium atoms of different energy levels by magnetic field. It is the simplest and most compact of all, use a glass cell of rubidium gas that changes its absorption of light at the optical rubidium frequency when the surrounding microwave frequency is just right. The most accurate atomic clocks available today use the cesium atom and the normal magnetic fields and detectors. In addition, the cesium atoms are stopped from zipping back and forth by laser beams, reducing small changes in frequency due to the Doppler effect. Cesium is chosen for atomic clock because of the advantage of its atomic structure. It has lone electron in its outermost shell which has hyperfine structure because of nuclear spin. It needs microwave frequency(very small energy) to have a hyperfine level transition. The frequency needed for he transition is accurately determined in case of cesium and it is easily reproducible using frequency oscillator. The second is the duration of 9,192,631,770 periods of the radiation corresponding to the transition between the two hyperfine levels of the ground state of the cesium 133 atom. We can say that 9,192,631,779 Hz frequency is needed for Hyperfine level transition in standard Cs-133 atom. This frequency has been accurately determined and precisely reproduced. It has been claimed that the best atomic clock gives an uncertainty of 1 second in 30 million years. New researches are being carried out which is claiming to be 100 times more accurate then the best atomic clock. A newly proposed clock that uses the orbit of a neutron around an atomic nucleus to keep time would be so accurate that it would only gain or lose 1/20th of a second every 14 billion years – or about the lifetime of the universe. Yes true, but at least they should know the standard being used today for determining time. This is only the overview of what should they study. To get the complete details about the elements used and their advantage of chemical structure, you have to learn about different energy levels like k, l, m, n shells and sub atomic levels e.g. s, p, d, f etc. How the electrons transits between one atomic level to another. As of now, I have written about hyperfine level in between sub atomic level which is being used as a standard for determine time because they require lesser energy for the transition. reall it grate but atomic clock is difficult to understand common peoples who are not studied. Does knowledge become a weapon if it is insufficient? If you have a industrial software which uses hardware key to authenticate the license, then it is very difficult to run the software without the key dongle plugged in. Their is a chance that the key might be stolen as it looks just like pen drive. If the key dongle is stolen, then the software will not run and you have to buy another license key dongle if you are not under service contract. In this article I'll describe you with the method by which you can backup your hardware dongle to enable you to run the software without the key dongle plugged in.Note: All the steps has to be done while the dongle is plugged in and the application is running. Step 1. 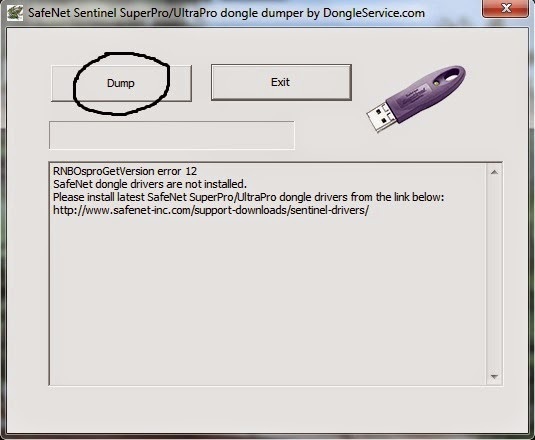 Download Sentinel key reader Dumper.exe. This is used to dump the key file in the dongle which is otherwise impossible to read. What do you mean by CryoVolcano? A cryovolcano (colloquially known as an ice volcano) erupts slurries of volatile compounds such as water or methane instead of lava. These substances are usually liquids and form plumes, but can also be in vapour form. After eruption, cryomagma condenses to a solid form when exposed to the very low surrounding temperature. Cryovolcanoes form on icy moons, and possibly on other low-temperature astronomical objects (e.g., Kuiper belt objects). The energy required to melt ices and produce cryovolcanoes usually comes from tidal friction. It has also been suggested that translucent deposits of frozen materials could create a sub-surface greenhouse effect that would accumulate the required heat. Ice volcanoes were first observed on Neptune's moon Triton during the Voyager 2 flyby in 1989. On November 27, 2005 Cassini photographed geysers on the south pole of Enceladus.